The Annual Grand Concert...and more.. Following the two full-house performances of Giacomo Puccini’s La Boheme and the first cultural events of the fourteenth edition of Festival Mediterranea, the Teatru Astra now looks forward to further highlights in this year’s programme of events. The first of these will be a seminar themed Exploring the Traditional and Artistic Contribution of Local Bands, that will take place at the Ministry for Gozo on Saturday the 14th of November at 10:00. The seminar, which is to be chaired by Professor Joseph Vella, seeks to delve into the historic and current role of local bands in our community, and features addresses by Professor Vicki-Ann Cremona and Anna Borg Cardona. The seminar will be followed by the opening of an exhibition on the same topic at the Teatru Astra. A special section of the display is expected to highlight Professor Vella’s fourty-five years of musical direction at the La Stella Philarmonic Society and the Teatru Astra. 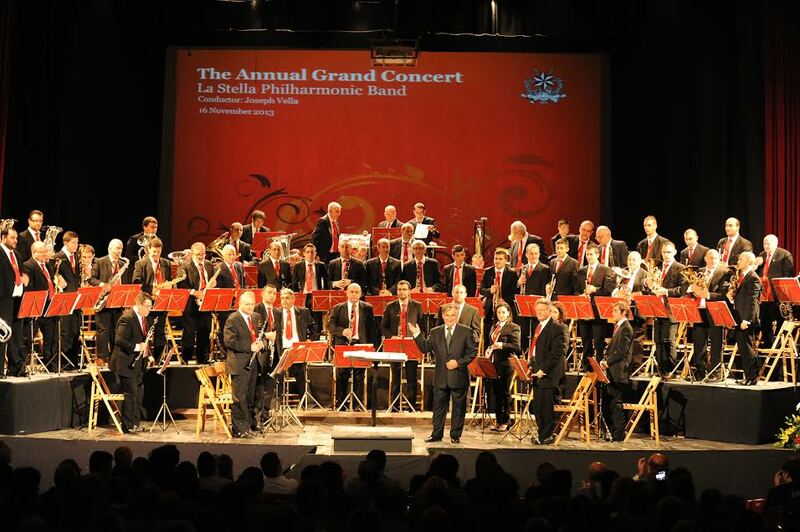 The following Saturday, November 21, will see the La Stella Philharmonic Band, the most illustrious musical band in Gozo, stage its Annual Symphonic Gozo at the Teatru Astra. Since this year’s concert marks the 45th anniversary since Professor Joseph Vella was appointed conductor of the Band, the concert will entirely feature compositions and works by Maestro Vella. The Annual Grand Concert is considered to be the La Stella Philharmonic Society’s main event throughout the winter season, and is increasingly becoming a much-awaited encounter between music and its admirers in Gozo. Entrance for these events is free of charge.